The 10th Foot, later known as the Royal Lincolnshire Regiment, served with distinction in many corners of the world between 1685 and 1960. This unofficial website was revised in December 2003 with pictures from the Regimental Museum and other sources. We're sorry, but we just don't have the facilities to answer enquiries about the service records of individual soldiers. The Public Record Office at Kew has the service records of men who were in the regiment prior to WW1 but almost all the records of men who served in the Great War were destroyed by Hitler's bombs in WW2. 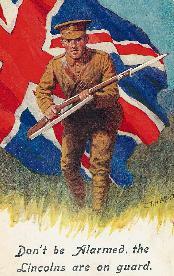 Two books about the history of the Lincolnshire Regiment were published in December 2003. The Lincolns, by John Benson, tells the story of the regiment in pictures. There are over 430 black and white pictures in the book's 271 pages, plus a 4-page frontispiece in colour. Many of the pictures are from the Regimental Museum, but there are quite a number from other sources too. Most of the pictures in this website are included in the book. 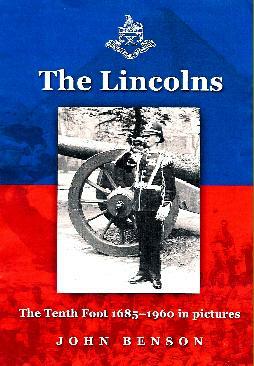 The Lincolns costs £17.50 and can be ordered from bookshops (ISBN 1 902882 55 5). A signed copy can be obtained by writing to the author at 3 Hall Yard, Burton, Lincoln LN1 2RD and enclosing a cheque (made payable to John Benson) for £19.25 inc post and packing. Overseas buyers should send a money order for £23.90 or 29 euros. 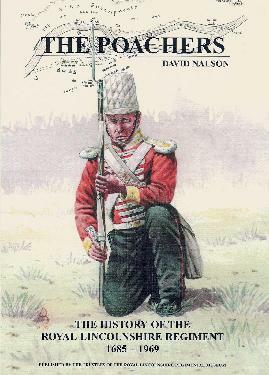 The Poachers, by David Nalson, is published by the Trustees of the Regimental Museum. Priced at £14 for the paperback edition and £18 hardback (plus post & packing), it gives a detailed account of the actions the regiment took part in. There are 175 pages, 25 illustrations and 16 maps. The book can be bought at bookshops (ISBN 09546539 1 2) or for £6 from the Regimental Association by clicking here. 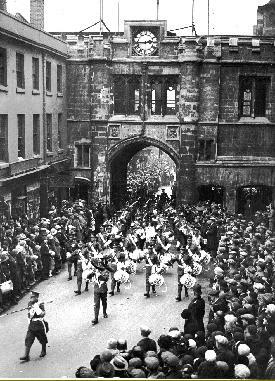 Playing the regimental march The Lincolnshire Poacher, the band leads the 2nd battalion through the Stonebow at Lincoln in 1933.